​Christmas has become nearly synonymous with presents. We’ve barely even cleared the Thanksgiving leftovers before I’m making a long list of the people I need to buy for. And maybe like me your list keeps growing. This year I’ll shop for my family but I also need teacher gifts, something for our Sunday school Yankee swap and hostess gifts to bring to parties. I’ve always thought one of the gifts we can give back to God is our time. They say love is spelled t-i-m-e and so any good girl, any good Christian girl, should give God her time by reading the Bible. Before the rest of the house is awake. Even before coffee (or at least Facebook). And I’ve spent way too many days, way too many weeks – even whole months if I think back on it – feeling guilty that I wasn’t giving God enough Bible time. Now maybe you’re not there, but I have been. There was the season in college, where I enthusiastically began owning my faith, meeting friends in my dorm for prayer and our concordance-led Bible studies, but the time came in fits and spurts. There was a dryer season as a busy professional, where I was in church on Sundays and listened to Bible teaching on my car radio, but didn’t really open the Word for myself. There was the season as a young mom of babies and toddlers, when nights merged into days, naps were for catching up on the house and alone time was a misty memory. But then came another season. A season when life as I knew it collapsed and I was left a widow and single mom to seven kids. In that season, I needed God like I needed my next breath. God’s Word became my food as He reminded me over and over of His promises made and promises kept. Each day, no matter where I was reading in the Bible, God would lift my head and my heavy despair. Every day, through His Word, I made a daily exchange – laying down my fear and taking hold of faith. After all those years, I saw something for the first time. Time in God’s Word isn’t my gift to Him. It’s His gift to me. When we read God’s Word we see Him revealed. We’re reminded of God’s character, the way He responds to man and – more than that – we realize God’s Presence. Now we’re in another season, when the shopping and baking, parties and plans of Christmas can pull us from time with God. Quiet time won’t just happen in this busy season. We’ll have to purposely carve out and guard our time in God’s Word. I’ve already seen that. But advent helps us prepare. Advent helps pause the busyness and noise of December to focus on Jesus. Because it won’t be the shopping and presents that prepare us for Christmas. 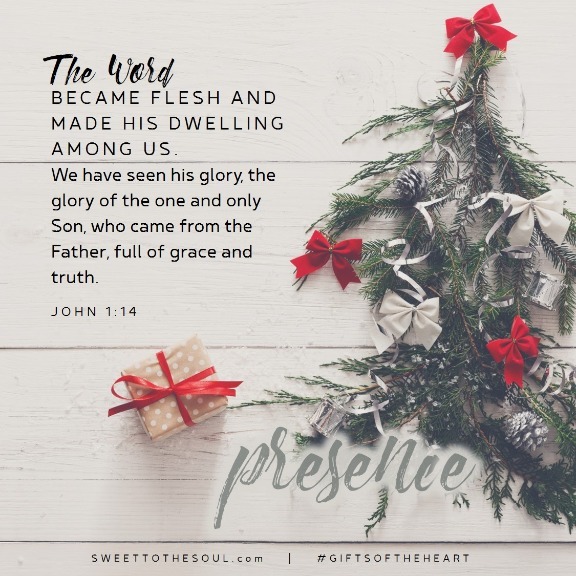 It’s only the gift of His Word and God’s Presence that can prepare us for Christmas. ​Lisa Appelo is an author and speaker, a widow and single mom to seven who loves to share the faithfulness of God. 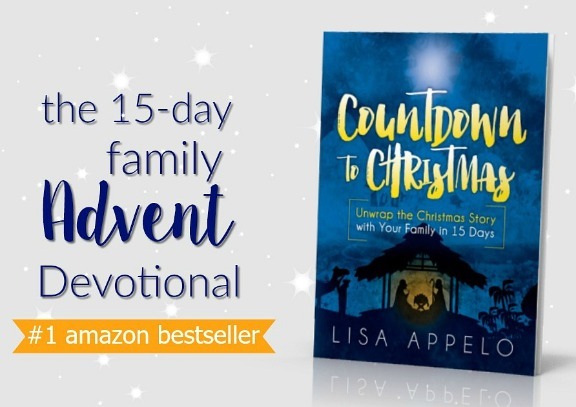 Her new book, Countdown to Christmas, is a 15-day family advent devotional that brings the real Christmas story to light in a new way with scripture and your Nativity. You can find more about the book here.